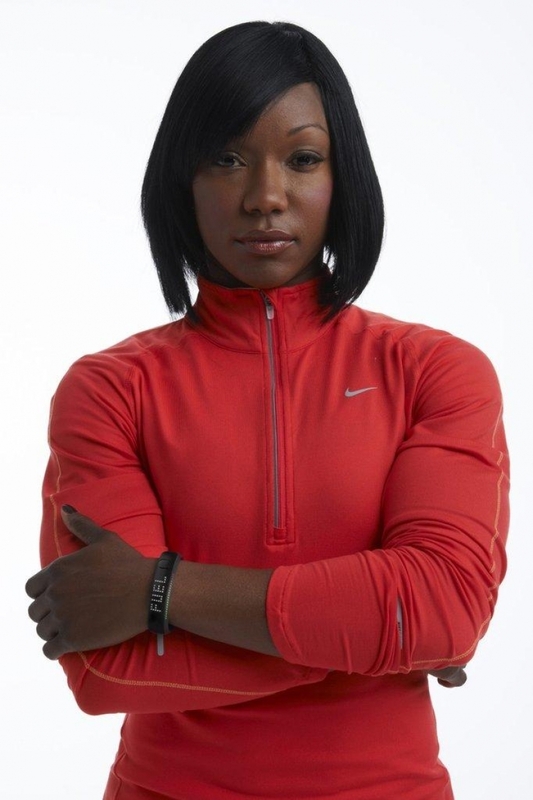 Carmelita Jeter is an American sprinter who specializes in the 100 meters. 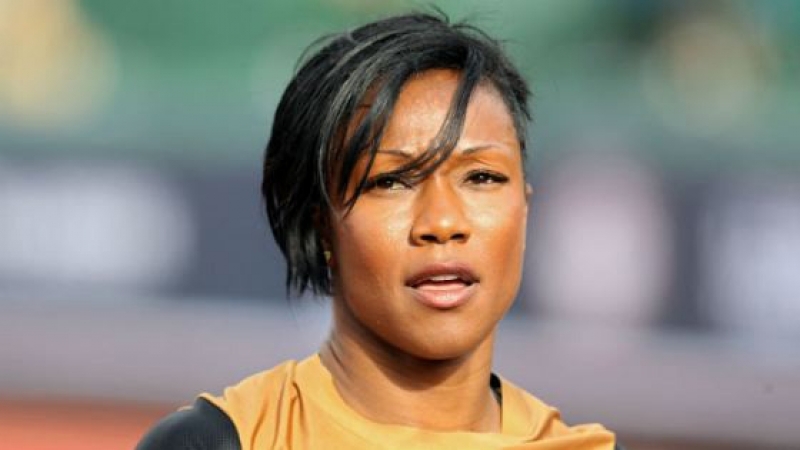 She is the second fastest woman of all time and the current IAAF World Champion in the 100 metres. She won the 100 m bronze at the 2007 World Championships in Athletics and a gold at the World Athletics Final. She won a second World Championship bronze. However, greater performances followed, winning her second gold of the World Athletics Final in 10.67 seconds and winning the Shanghai Golden Grand Prix in 10.64 seconds after that. This made her the second fastest woman ever in the 100 m, beating Marion Jones's best and bringing her closer to Florence Griffith-Joyner's long standing world record. Currently she holds three of the top ten times ever run. On 23 June 2012 won the women's 100-meter title at the U.S. Olympic track and field trials, giving her the Olympic berth she missed out on for the 2008 Games in Beijing. Jeter won the race in 10.92 seconds. Jeter attended Bishop Montgomery High School. Initially, basketball was the preferred sport in her family, and her younger brother, Eugene, later joined the Sacramento Kings. Her basketball coach suggested that she try out track, and a 11.7 second run confirmed her natural talent for sprinting.Jeter graduated from California State University, Dominguez Hills which is located in Carson, California, with her bachelor's degree in physical education. Jeter set the record for most NCAA medals by a California State University, Dominguez Hills track athlete and became the University's first U.S. Olympic Trials qualifier. 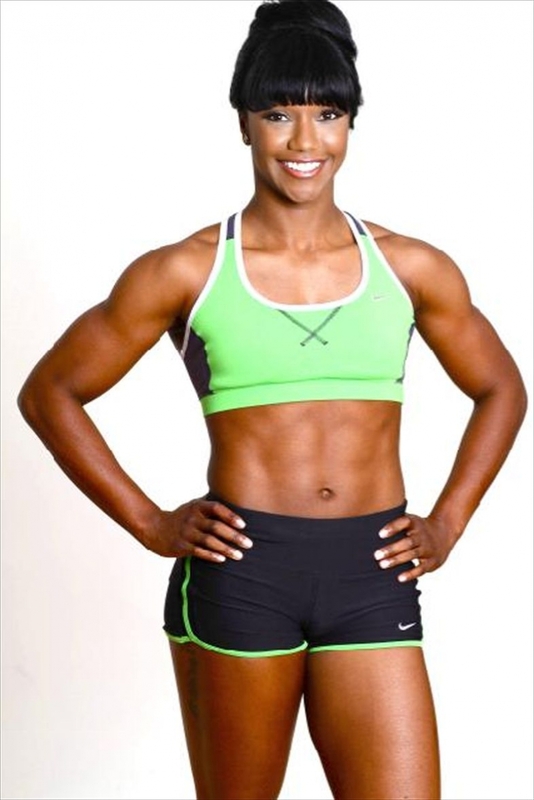 A recurring hamstring problem kept her out of competition for much of 2003–05, and it was not until 2007 that she made her first impact in senior track and field athletics, having undergone treatment with deep tissue massage. In 2007, Jeter won a silver medal in the 60 meters at the USA Indoor Track and Field Championships with a personal best of 7.17 seconds, and she remained in good form, improving her 100 m best to 11.04 seconds to take fourth place in the 100 m at the Adidas Track Classic. Building upon this, she qualified for her first major competition by finishing third at the national championships behind Torri Edwards and Lauryn Williams. She went on to win the bronze medal at the World Championships in a personal best time of 11.02 seconds, as well as taking the 100 m gold at the 2007 World Athletics Final. The following year, she competed at the 100 and 200 m U.S. Olympic trials. Although she set a 100 m best of 10.97 seconds in the quarter-finals,she did not progress beyond the semifinals, finishing just two hundredths out of the qualifying positions. A sixth place finish in the 200 m meant she had not made the 2008 Summer Olympics team, despite being one of the favourites for selection.She qualified for the 100 and 200 m races at the 2008 World Athletics Final but only managed fourth and fifth place, respectively. She changed coach in November, deciding to work with John Smith, who had previously coached athletes such as Maurice Greene. Smith began completely remodelling Jeter's running style. In her 2009 season, she showed strong performances going into the 2009 World Championships in Athletics. She ran 7.11 seconds in the 60 meters in the indoor season, the fastest by any athlete that year and a personal best.She remained in-form in her outdoor season, recording a fast 10.96 seconds at the Mt. 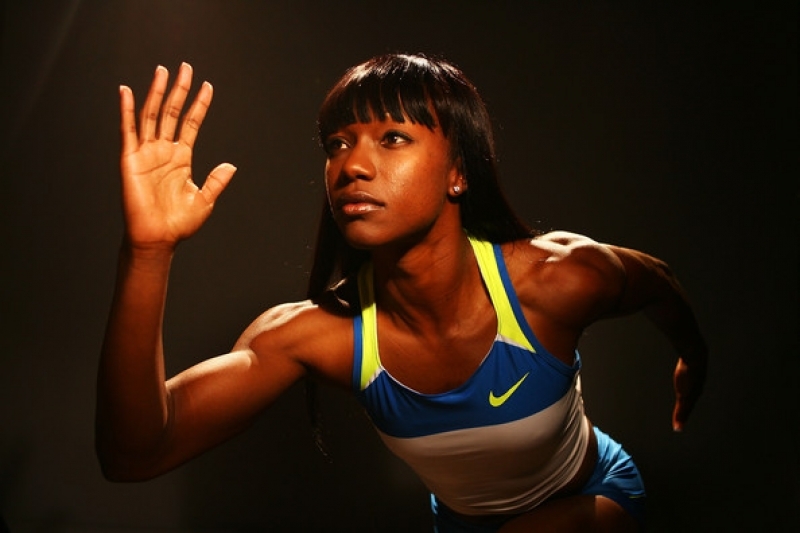 SAC Relays, winning gold at the 2009 Nike Prefontaine Classic, and taking her first national title at the 2009 U.S. Outdoor Championships. At the 2009 London Grand Prix, she placed first in the 100 m, clocking a personal best of 10.92; it was the third fastest time at that point of the season, only slower than Jamaica's Shelly-Ann Fraser and Kerron Stewart. 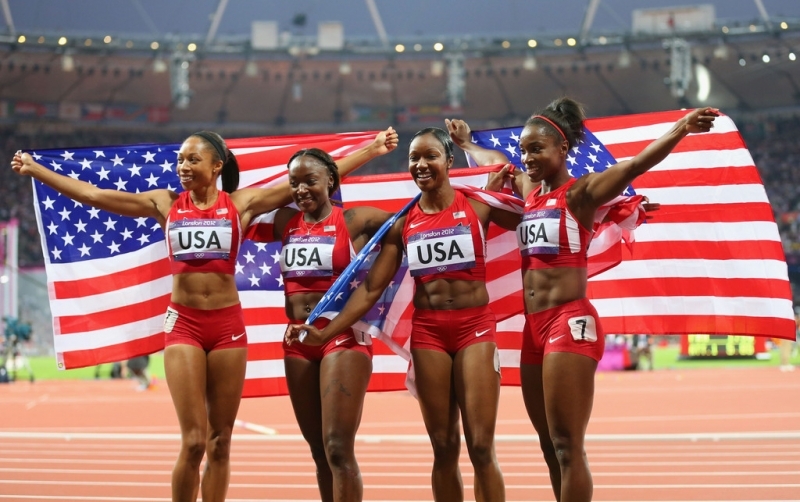 A week prior to the start of the World Championships, Jeter was part of a United States 4 x 100 m relay team that ran the fastest women's sprint relay in twelve years. Lauryn Williams, Allyson Felix, Muna Lee and Jeter finished with a time of 41.58 seconds, bringing them to eighth on the all time list. She entered the 2009 IAAF World Athletics Final having won her last three races by a significant margin. Even taking this into account, Jeter surprised with one of the highlights of the final edition of the IAAF World Athletics Final.She won the 100 m race in Thessaloniki, Greece with a time of 10.67, to become the third fastest woman in history and set a championship record.This was the fastest run in twelve years; a time which had only been bettered by Marion Jones and Florence Griffith-Joyner,and 0.16 seconds faster than Jeter had ever run before. She ran even faster a week later at the Shanghai Golden Grand Prix, winning in 10.64 seconds (the fourth fastest time ever) to become the second fastest woman outright. Her fast times were a double-edged sword in that they brought as much suspicion as they did appreciation. 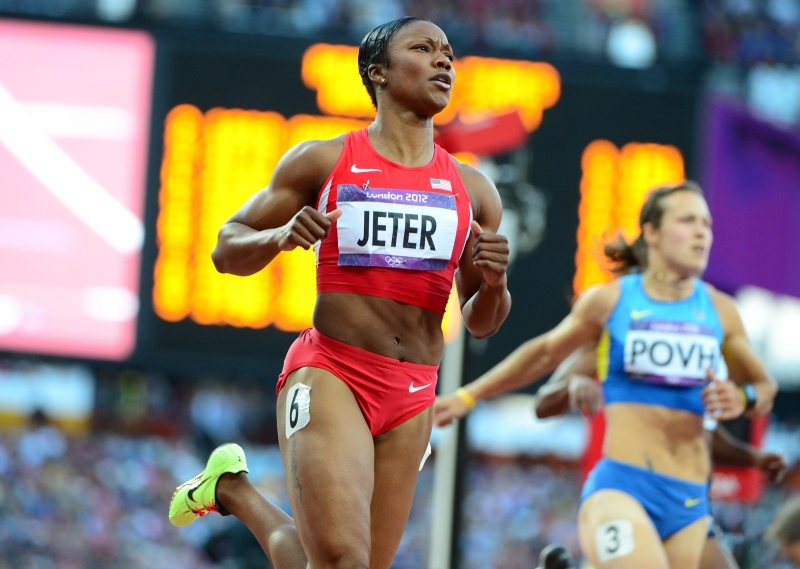 At age 30, Jeter had improved her personal record by over a third of a second within a single season and she ranked between Jones and Griffith-Joyner in the all-time lists. Given the history of the women's sprints and speculation about performance enhancing drug use, Jeter said "I can't be upset about those questions [but] It's unfortunate that I work this hard and I don't get the credit I should get". 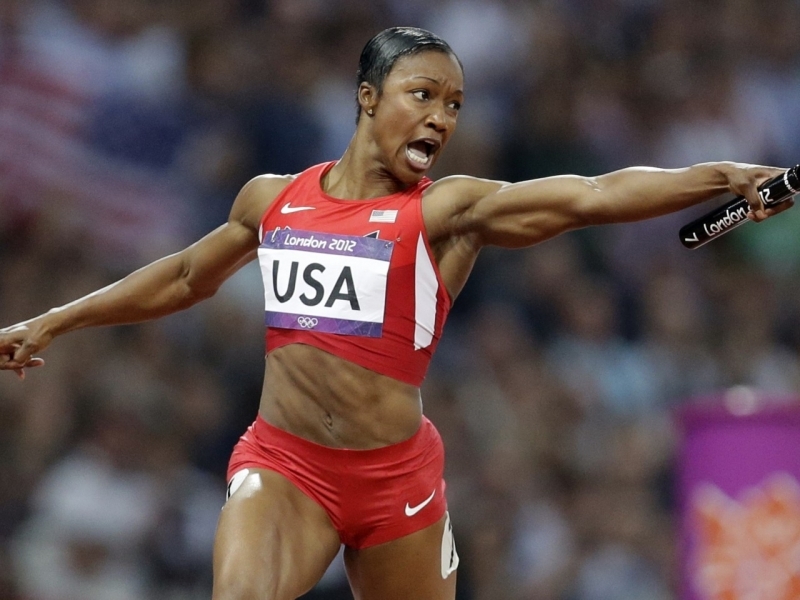 She improved her 60 m best to 7.02 seconds to win at the USA Indoor Track and Field Championships. This was still slower than LaVerne Jones-Ferrette, and Jeter resolved to improve further for the 2010 IAAF World Indoor Championships.